For the love of stereotypes. This post mostly refers to a book I finished last week called Suffer the Little Children which is part of the Commissario Brunetti series by Donna Leon. As you may be able to tell from the name of the series this is a crime series set in Italy, Venice to be exact and I really enjoyed it. It’s a well written police procedural and it managed to avoid all of the traps that I usually encounter in detective fiction. Troubled life of main character, main character having relationship with wrong-doer, huge levels of unnecessary information and the obligatory red herring to name but a few. Instead we had a solid, capable protagonist, happily married with two happy children and an excellent working relationship with his equally capable team. He investigated his case in a sensible fashion and what’s more is that time moved at what I feel to be a reasonable rate. Instead of everything happening in an intense couple of days resulting in a dramatic showdown where our hero is running on empty having not slept or eaten for 48 hours we had a story that moved along quickly at first and then with nothing for a couple of months. The way I believe investigations work in the real world (not that I have any real experience on that front). But this post isn’t really about the quality of the book as an example of good crime writing. It’s more about the Italian stereotypes contained therein. Brunetti and his colleagues represent what some would see as a typical Italian obsession with their stomachs. There were seemingly endless conversations and descriptions of lunch/dinner/snacks/cups and cups of coffee. It all sounded pretty tasty but I found it a little strange that it was such a feature of the book. I work with quite a few Italians and although it’s certainly true that they love their coffee and their food, they don’t actually talk about it all the time. Donna Leon is in fact an American although she lived in Venice for 25 years which made me wonder whether this endless listing of foods is because she believes the stereotype, the stereotype is true or she just loves Italian food. According to Wikipedia, the Commissario Brunetti books have been translated into many languages but Leon has requested that they are NOT translated into Italian. Which only serves to redouble my suspicions about her stereotyping. And it got me to thinking about other stereotypes in literature. A friend was recommending a book to me at the weekend and he described what it’s about and then said ‘But it’s very Russian – lots of potatoes and vodka.’ I believe the book in question was written by a Russian and in my experience, the preference for vodka is true at least 50% of the time (that’s on a sample of 2…). I thought of Fleur’s vanity and condescension in the Harry Potter series but then I wasn’t sure if that was meant to be a French thing or a Veela thing so I’m not commenting on that but it’s open for discussion if you have any thoughts. I can’t really think of any more examples right now. There is a book I read at school which was set in Ireland and featured a lot of potatoes but it was mostly about the ghosts of some children who died during the potato famine so I don’t think I can count that one. 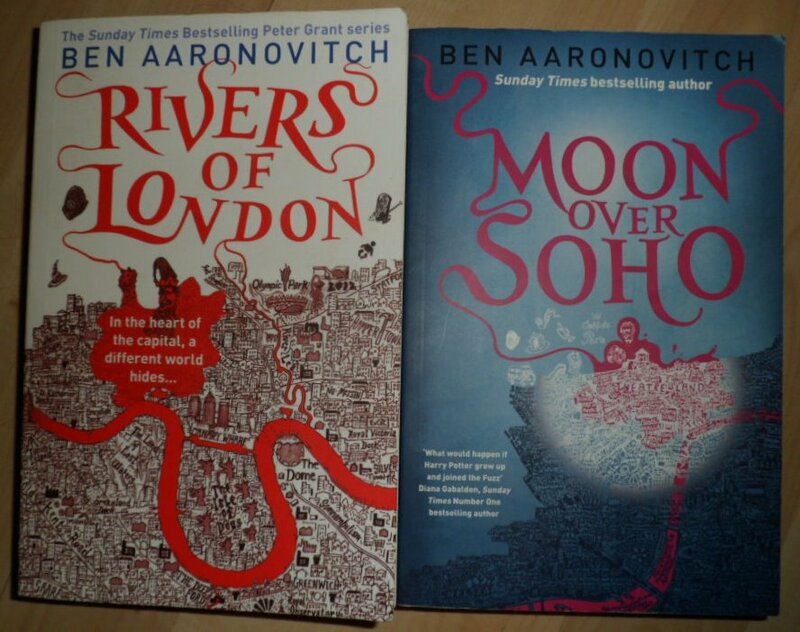 This is a joint review because I read the first two books in the Peter Grant series back to back in quick succession. These books had caught my eye a few times while perusing book shops because their covers feature a map of London and as you might know; I love London. But reading the blurb I was put off by the supernatural element they contain. They struck me as a bit too oddball and not something I’d be interested in. But a couple of weeks ago I was feeling the need for something light and easy to read so I picked up the first book: Rivers of London (Midnight Riot in the US) and decided I’d have a go. How glad am I that I did?! The stories feature PC Peter Grant who is at the end of his probation with the Metropolitan Police as RoL begins. He is certain that he is facing an unexciting career of paperwork and minimal policing when guarding a crime scene he encounters a ghost. His subsequent hunting of said ghost brings him to the attention of one Thomas Nightingale, the sole member of a mysterious unit whose purpose is to police magical disturbances of the Queen’s peace. Peter is then plunged into a bewildering world of river gods, Latin textbooks and spirits that just won’t stay dead. With him on the journey is his colleague WPC Lesley May and the rest of the somewhat reluctant Murder Team who keep getting landed with the fall out from magical happenings. Despite being the sort of madcap happenings I often find it hard to stomach there’s something about these stories that make them feasible. It’s the same way that Harry Potter’s world could definitely exist in parallel to ours, an entirely believable imaginary world. The books are excellent, the writing is light and buzzing with witty observations of London and life in general. Peter is a fantastic character who I warmed to immediately and the kind of guy who you end up feeling like you’re genuinely friends with. He’s not perfect, far too easily distracted for ordinary police work (especially if a woman’s involved) and something of a slacker when he can get away with it. But he has a scientific leaning (he got three Cs at A-level making him one of the Met’s scientific experts) which drives Nightingale mad but which I like a lot. 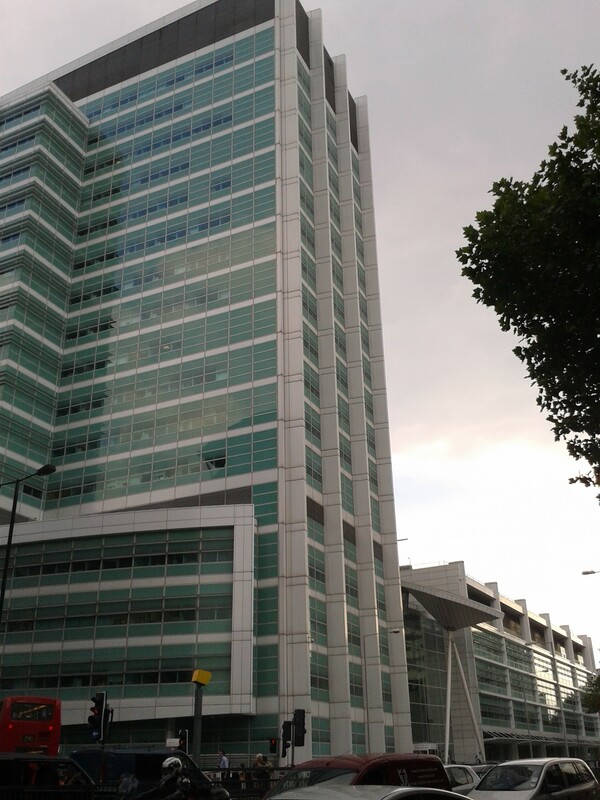 But there is no doubt that the main character in the series is London. 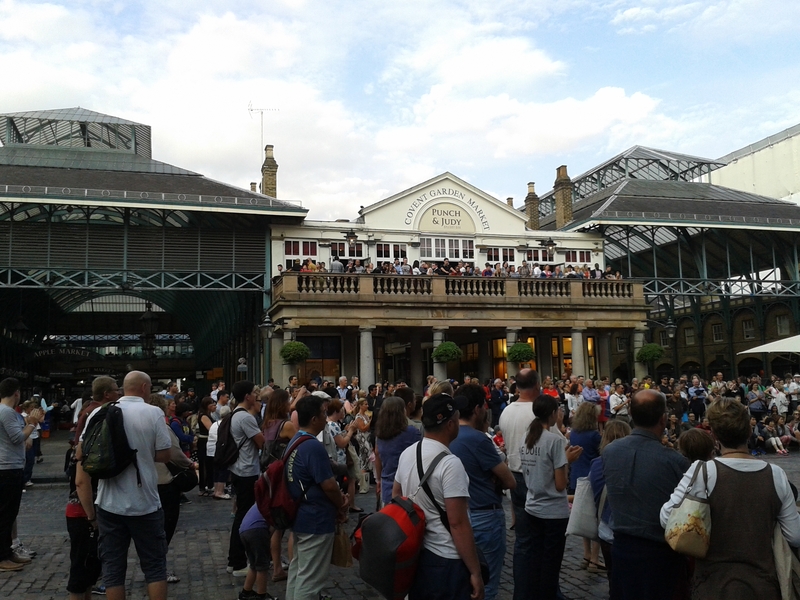 The first book takes place mainly around Covent Garden whereas the second is a bit more widespread, reaching from Camden down to the wilds of Wimbledon (imagine how excited I got about that!) Now I can imagine that if I didn’t know London I might find the constant name dropping (street names that is) annoying but as it is I knew many of them – I work close to the Folly, I’ve had a blood test done at UCH, I’ve drunk in one of the pubs from book 2 and I could often follow a route Peter was taking because I’ve spent a fair bit of time wandering the West End. But in case you don’t know London as well as I do, Ben Aaronovitch created these maps to help you orientate yourself: http://temporarilysignificant.blogspot.co.uk/search/label/maps How about that for service?! But if you’re reading this Ben, Mama Thames needs a daughter named Wandle to make me truly happy. There’s two more books in the series, the latest of which was only published last week and yesterday I picked up book number three for the weekend. I’ve had to be very strict with myself and NOT start it. 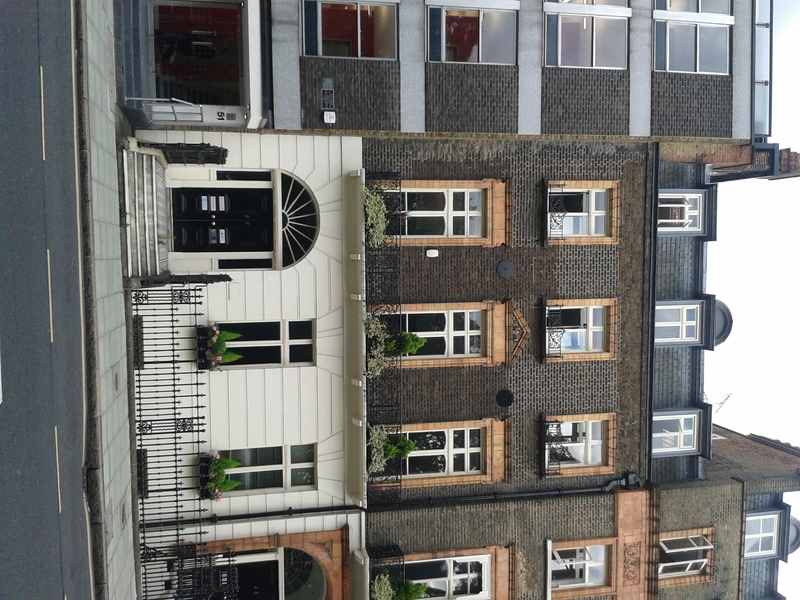 This is the building in Russell Square that I imagine to be the Folly. 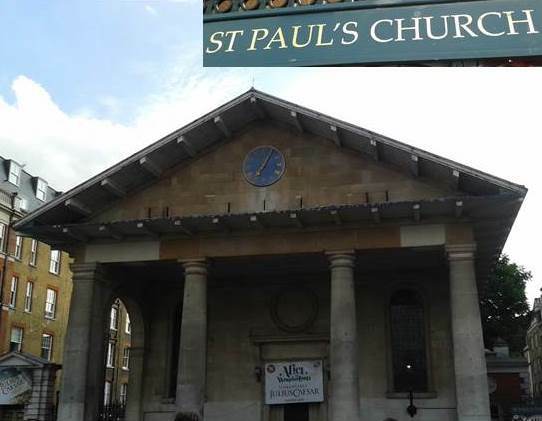 St Paul’s Church where Peter meets his first ghost and comes to Inspector Nightingale’s attention. 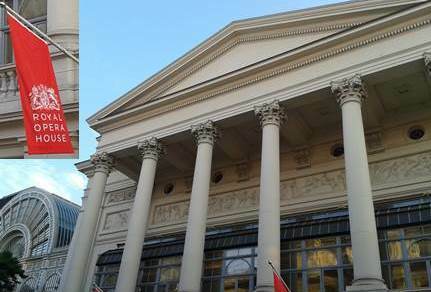 The Royal Opera House, where the dramatic showdown takes place. 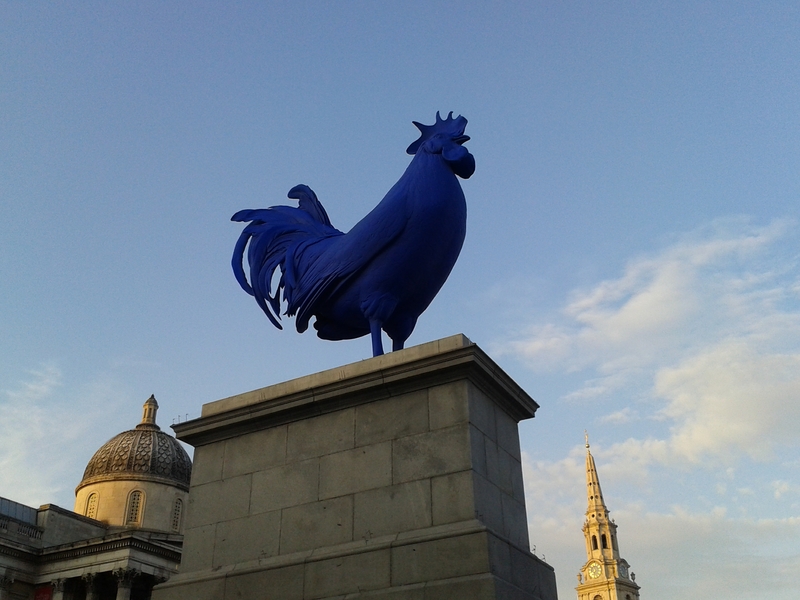 And to prove London’s not all beautiful buildings, here’s our latest statue: a giant blue chicken. Alas, this is not a happy review. 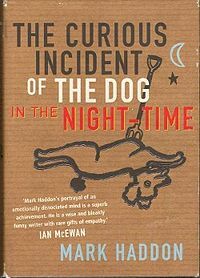 Having LOVED The Curious Incident of the Dog in the Night-Time and liked A Spot of Bother, I was excited to see that Mark Haddon had a new novel out and so I snapped up a copy in my local second-hand shop. The premise of the story is this; after his mother’s death, Richard tries to reunite what is left of his family by taking his sister, her husband and children to a remote village on the Welsh border together with his new wife and stepdaughter. Trapped together for a week, the two families should have no choice but to bond however, secrets are revealed and relationships threatened. The next paragraph may contain spoilers. I used to think that this kind of book was my thing but I’m coming to realise that actually I want a bit more action from my books. Not that I want bombs going off left, right and centre or gory deaths every other chapter, I just want something to happen. And that’s what The Red House was missing. Yes secrets were revealed but there were no real repercussions, a few pages later all would be forgiven and everyone would move on. There was nothing huge and life-shattering and by the end of the week there didn’t seem to be any momentous changes (except for Daisy perhaps). If you’re going to write this kind of character-driven book then things (and people) need to develop, you can’t just bring something up and then let it drop. If you give a character a mental illness you have to commit to it, she won’t be all better in a couple of days. And the same with extra-marital affairs, threats, bullying, suicide and the other half-arsed stuff going on here. There was a real lack of commitment to the storylines which bugged me. So that was the story but now we come to what really irritated me here was the writing. I put up a post a few days ago about the importance of good dialogue and it was partly to vent my frustrations with this book. It was incredibly hard to follow conversations while reading The Red House because the vast majority of the dialogue was not attributed to any of the characters. And not only that but speech wasn’t written in the usual ‘inverted commas’ but instead was written in italics which is the only way it was differentiated from the rest of the text. Ergo I was a good few pages in before I twigged that it was in fact speech and not just phrases worth highlighting. However even once I’d had that epiphany it was still not clear-cut as often characters would recall a memory which would also be written in italics but wasn’t something they were saying out loud. All in all it was quite confusing. And I’m not done yet. The whole book was written as a ‘stream of consciousness’ with the viewpoint altering between characters every few paragraphs (there were breaks between viewpoint in a rare effort to make things clear). I dislike the stream of consciousness form of narration as I feel it imparts a lot of unnecessary information that the reader could quite happily live without. Since I’ve been writing this post I’ve scratched my ear, checked my phone and wondered whether I should have a biscuit but there’s no need for you to know these things are there? I also found chopping and changing between characters so frequently to be very distracting, it was hard to keep up with who was narrating and I found that I was switching off more often than not. Then there were the occasional paragraphs where no one was telling the story and Haddon was just showing off his ability to list objects and which served no purpose as far as I could tell. Seriously though this one is great, make sure you read it if you haven’t already. As I said at the beginning of this post, I loved A Curious Incident… but I only liked Haddon’s next offering and having disliked this one I don’t think I’ll be reading any more of his work. It’s a real shame but looking at reviews of The Red House I’m not alone in my opinion. I’m non too fond of the book I’m reading at the moment and one of the issues is the poor dialogue. I’ve seen a few instances of bad dialogue recently and I thought I would write a wee post to expand on my thoughts. ‘He did what?’ Mimi exclaimed. ‘I know I could hardly believe it!’ Janey squealed. ‘I thought he’d know better.’ Shrilled Mimi. ‘Maybe he forgot where he was?’ Hypothesised Mimi. See what I mean? It can become distracting. 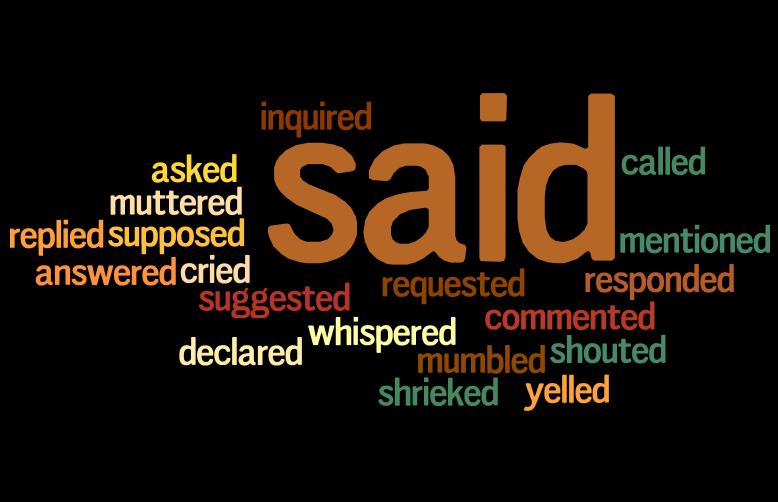 Said is a word which we’re so used to seeing and hearing everywhere that it just fades into the background allowing the actual speech to shine through. I hate it when I find myself playing ‘spot the synonym’ because it is so obvious that the author is trying to avoid saying said, especially when they get creative. Now assuming that there are only two characters in the conversation can you tell me who mentioned the bird? No? Neither can I and I wrote it. That’s because we have to be able to keep track of who’s talking and after a few sentences it can get a bit muddled. No one wants to have to track back through a conversation to work out who said what. In theory it should be obvious who’s talking from what’s being said but this can be hard to deduce, especially in a long passage. The book I’m reading at the moment uses this technique and it’s driving me mad. In a story where there are frequently four or more characters in the same place it can be very hard to tell who’s said what, especially since it isn’t always clear who is in the room at the time or even whether the thing being said is current or a memory. But I have other issues with that book which no doubt I’ll cover at a later point. The main point of this post is this: said is a good word, don’t be afraid of it. My high school teacher may well have had a very good point and there are some wonderful synonyms in our rich and varied language but none of them are quite as fit for purpose as said and I don’t see why those four letters should be judged so harshly. Disclaimer: Yes, all dialogue is my own work. No, I don’t harbour secret ambitions of being a writer. Oh alright then, I do but I wouldn’t be writing anything featuring squealing or lists of animals.